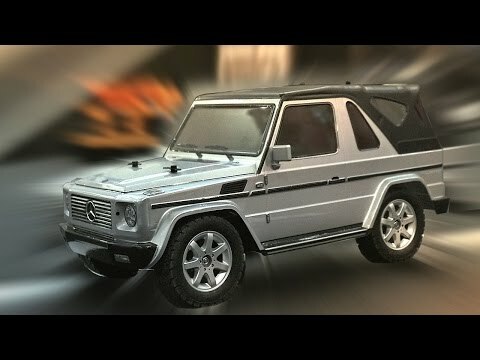 The R/C Mercedes G320 Cabrio MF-01X Model Kit is the second release using the new MF-01X chassis. The Mercedes Benz G320 Cabrio was a G Class series vehicle that was sold between 1997 and 2001. While many G Series cars were produced, this version featured a soft convertible top and was based on a short wheelbase version of the chassis. The Tamiya radio control replica is featured on the 4WD MF-01X chassis.